Distance: Variable, based on the circuit you elect. Duration of the activity: 4 hours to various days, based on the circuit you elect. Special Considerations: As explained previously, sighting the blue whale is a challenge; you should be prepared for the likely event that you will not realize this goal in every excursion. Reservations: Whale-watching tours should be arranged in advance. The travel chronicles of early explorers like Willem Schouten and Jacob Le Maire, who explored the southern stretches of the Pacific in 1616 leave little doubt about the abundance of whales in these waters. “We saw countless penguins, abundant fish and thousands of whales, so many that we had to weave our way around them to avoid hitting them with our ship”. But then the whaling industry arrived and cetaceans became a highly profitable product, coveted throughout the world, leading to the near extinction of the species. The blue whale, the largest of all the whales, was one of the most affected; whale hunters killed more than 97% of its global population. 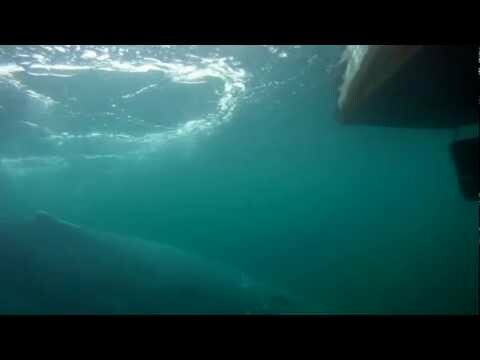 For many years there were no recorded sightings of the blue whale within Chilean seas. Zero! 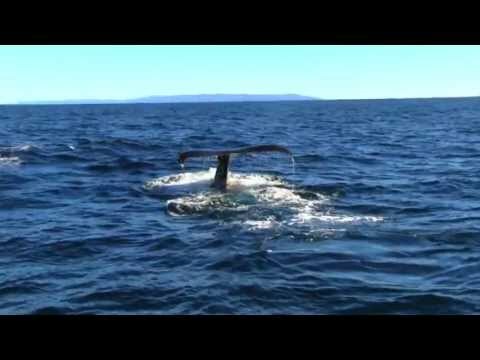 But, approximately a decade ago, Chilean scientists from the Cetacean Conservation Center (www.ccc-chile.org), and the Blue Whale Center (www.ballenazul.org), began to witness a miracle: the giants were back! In 2003, marine biologist Rodrigo Hucke, of the Austral University, published a paper in the Royal Society Journal of the Academy of Sciences of the United Kingdom: “Discovery of a feeding and recovery zone for blue whales in the south of Chile.” Soon after, dozens of scientists, environmentalists and television crews, like the BBC, came to the Corcovado Gulf to observe and film these whales. Today, the international scientific community recognizes the Corcovado Gulf and the area northwest of the island of Chiloé as the area with the largest number of sighting of blue whales in the entire southern hemisphere. There are believed to be no more than 3,000 blue whales in all the world’s oceans, and approximately 300 of these are believed to habitat the Corcovado zone; to date around 160 individual blue whales have been identified here, in a project to photo register and catalogue their population based on the unique markings of their fins. Observing the blue whale is a tremendous challenge, due to a number of factors. First, the Gulf is immense, extending more than 90 km with a width of around 45 meters. Second, the whales are constantly moving underwater. 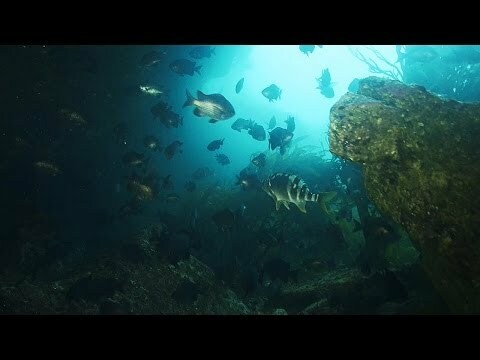 They can swim between 25 and 50 km/h and only need to surface for brief intervals to breathe, three or four times per hour. The climate of the zone is adverse and seas are often rough, complicating further the difficult task. Finally, the enormous size of this animal, with up to 30 meters in length and 200 tons in weight, precludes them from being as acrobatic as other whales whose frequent jumps assist the task of watchers. In contrast, the most common blue whale sightings involve seeing a dense stream of water released during breathing. If you are lucky, you might have the privilege of sighting a tail fin (fluke), or the dorsal ridges and fin. Try your luck at the panoramic overlook in Melinka where you can gaze across the horizon in search for the jets of water that the blue whale emits from its blow holes, reaching up to 10 meters in height. You’ll want to bring a good windbreaker and hat because the wind never stops in this sector. If you’d like to try your luck at sea, contact Victor Ruiz, who offers day trips to observe blues. It is also possible to see humpback whales, austral dolphins (or toninos), colonies of sea lions and a great variety of sea birds. You could also visit the Jechica Island Marine & Refuge, located about three and a half hours from Melinka by boat. The island consists of 7,200 hectares that have been conserved in their natural and pristine state, are one of the best kept secrets of the Gulf. The island is frequented by small sailing boats and yachts from all over the world that stop for a few days of pampering, gourmet food and pure nature. It is not necessary to own a yacht to visit this exclusive spot, you just need to coordinate with their administration and they will provide passage from Melinka. On the island you can participate in whale-watching excursions, explore hiking trails, kayak and relax in luxurious cabins, a club house, bar, library, internet and more.